Rubbermaid Two Shelf Service Cart - 39.5" x 18" x 33"
Two-tiered service cart offers structural foam construction with rounded corners. Weight capacity is 500 lb. 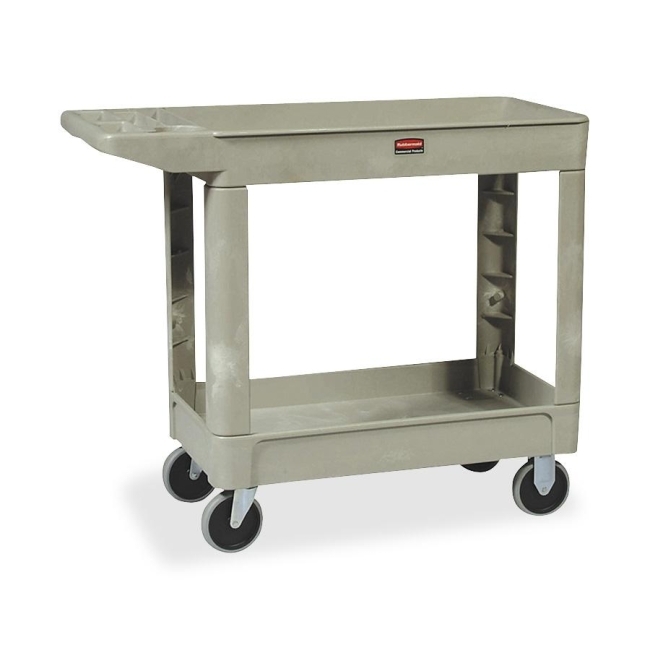 Cart is equipped with four 5" non-marking rubber casters including two that swivel. $294Rubbermaid Two Shelf Service Cart - 45" x 26" x 33"
$248Rubbermaid Two Shelf Service Cart - 39.5" x 18" x 33"